You need just five minutes and a few simple ingredients to make this delicious Roasted Red Pepper Hummus! Are you a snacker? Come on, fess up. I am. I am never one to pass up the perfect crunch of a cracker or chip. 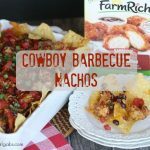 Combine a crunchy cracker with a delicious dip and I am in heaven. Speaking of a crispy cracker, have you tried Blue Diamond® Nut-Thins yet? I am in love. Blue Diamond® Nut-Thins are a delicious snack that is crunchy and crispy like a potato chip, but sturdy enough for dips and toppings. These crispy gems contain no artificial flavors, are wheat and gluten free and are made with real Blue Diamond® Almonds. It’s the perfect choice for snacking or serving at your next party. Blue Diamond® Nut-Thins can be purchased in the cracker aisle at Target. There is even a cool sweepstakes where you can enter to win some cool prizes below. Every good cracker calls for a good dip. 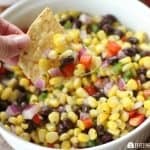 I love to make a variety of sweet and savory dips to share. It’s fun to experiment with different flavors. Dips that can be whipped up in a matter of minutes are great for a quick snack or party dish. You need just five minutes and a few simple ingredients to make this delicious Roasted Red Pepper Hummus! Living on a large farm, I can’t wait until the summer rolls around and I can roast some of the peppers that we grow. To make this Roasted Red Pepper Hummus all you need is garbanzo beans, roasted red peppers, garlic and tahini. Most of these items you probably have on your pantry shelf. Tahini may be the only ingredient that you would need to add to your grocery shopping list. I have even made this hummus without adding it. Either way, the roasted peppers and hummus create a spectacular dip that pairs so well with the Blue Diamond® Nut-Thins. Did you know Blue Diamond® Nut-Thins are giving away $3,000 in prizes? For the chance to win a $500 gift card to either Ahold, Kroger, Safeway, or Target, enter your information at NutThins2Win.com. Add the drained chickpeas, roasted pepper, garlic and all the seasonings to the food processor bowl. Turn on and slowly drizzle in the olive oil until the hummus is smooth and combined. Pour in a serving dish. Garnish with fresh parsley and chopped roasted red peppers. 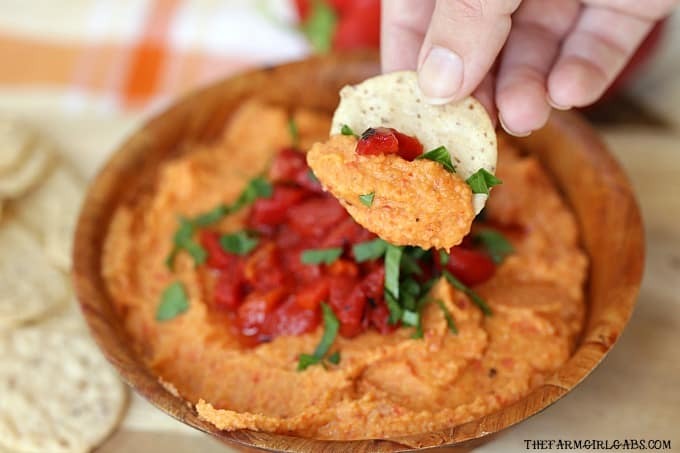 Save this Roasted Red Pepper Hummus recipe for later by pinning to your favorite Pinterest board.